Language instruction can sometimes get monotonous. However, there are ways to gamify your language instruction to make it more engaging. 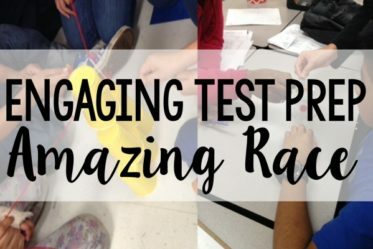 I want to share some practical and super simple tips to make your language instruction more engaging and “gamify it” for your students. I also have a planning present freebie that will help you try out a few of these tips. This is a simple but super engaging game that gets your students up moving and practicing. Read more about it here. I love this game because you can use it with any questions; all you need is enough for all your students. 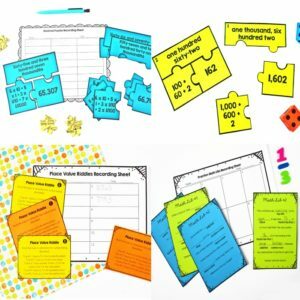 You can use the free language task cards shared near the end of this post or even cut up worksheet questions! If you don’t have enough language questions for the entire class, another option is to let them “pair scoot”. If you implement the partner scoot, students could both solve the task by discussing it together and both recording the answer. Another option is to have one student determine the answer and the other student explain the answer. 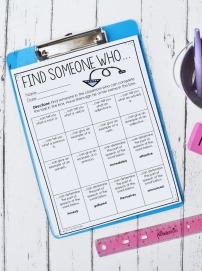 They could take turns being the “person who answers” and “person who explains.” This “game” works perfectly with task cards, but also works well with cut up language worksheets! Read more about how I use SCOOT as a means of assessing my students here. Another idea is to review language in an engaging way with online review games such as Kahoot and Quizziz. I wrote an entire post about Quizziz which you can read here. Both of these online review games are super engaging for students, and they’re FREE! Just input your own questions or choose a quiz from their library of quizzes. 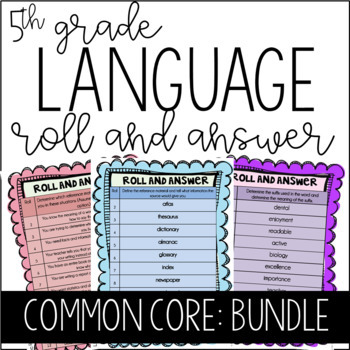 When I first started teaching, I remember searching desperately for language and grammar games for my students. All I could ever find were games for primary students, so I started making my own. 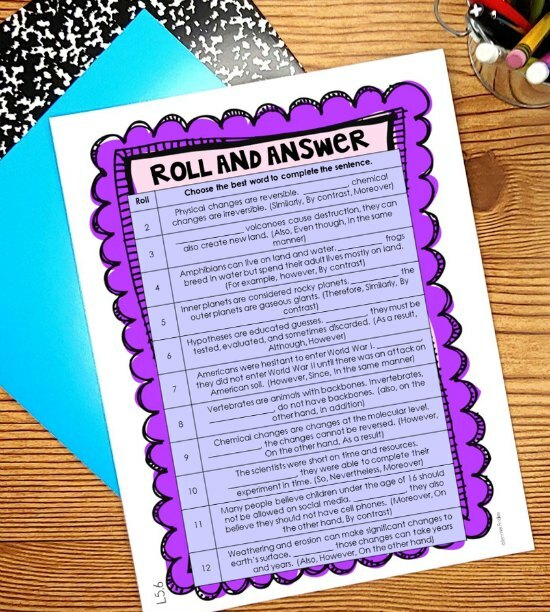 These Roll and Answer Centers are perfect for a minimal prep, but engaging partner game. 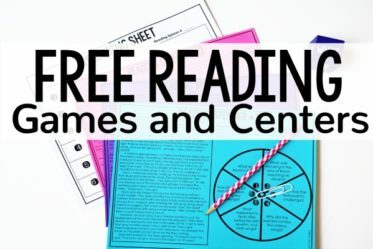 You can grab a free set that aligns with 4th and 5th grade common core standard L.6 by clicking here or on the image shown. These were game changers for my language instruction. If you need to make them more engaging, have your students play them as a BUMP game (directions included in the free download). —> Want More Language Partner Games? One of my students’ favorites is Test Prep Dress Up, where they choose something from a dress up bin for another player to wear if they get the correct answer. Read more about Test Prep Dress Up here. Another favorite is Stinky Feet. You can read more about Stinky Feet by clicking here to read a post by Teaching in the Fast Lane. 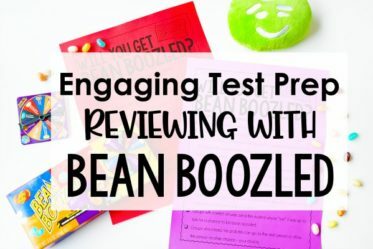 Both Test Prep Dress Up and Stinky Feet work well with PowerPoint reviews or even task card questions (project the task cards on an ELMO for best results). Another favorite way to spice up language and grammar review is by adding in minute to win it games. To read more about how I incorporate minute to win it games in the classroom, click here. Basically, I have my students answer a complex language tasks or a series of smaller ones, and then they play a minute to win it game. Jenga is a student-favorite and an engaging way to review language and grammar in a “game” format. Click here to read how you can implement Jenga review with any questions or tasks. Want specific Jenga games that review language and grammar skills? 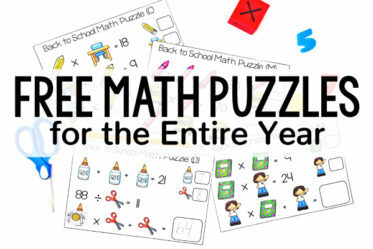 Click here to grab a FREE Prefix and Suffix Jenga review. Click here to grab a FREE Parts of Speech Jenga review. 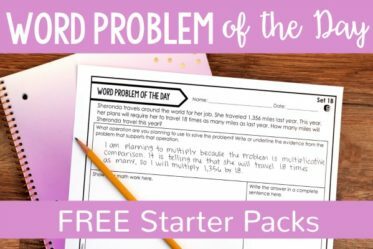 Click here to grab a FREE Word Work Jenga review. 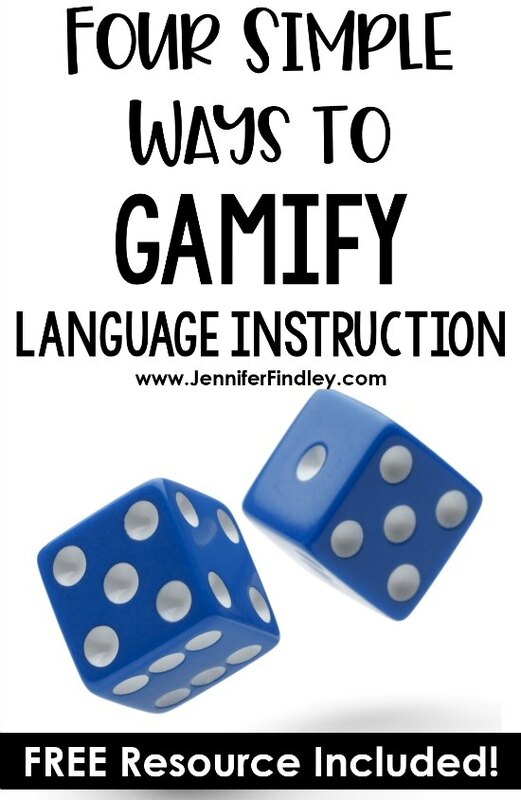 To help you implement a few of these strategies to gamify your language instruction, I have a free resource for you! 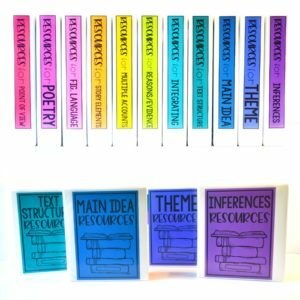 This set of 32 task cards works with SCOOT and the language and grammar review strategies shared in the section above. 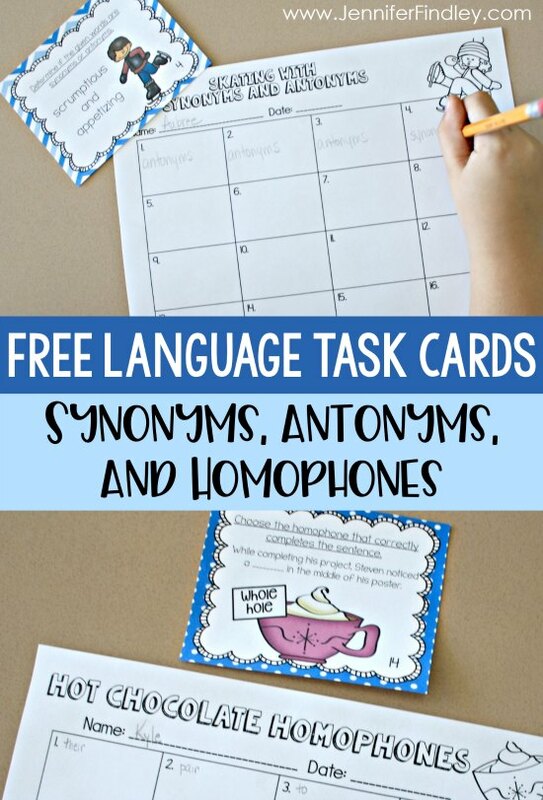 There are two sets included in this freebie: 16 task cards that review Synonyms and Antonyms, and 16 task cards that review Homophones. These particular set of task cards comes from my Winter Themed Language Task Card Set for 4th and 5th grade. 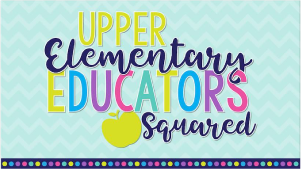 The seasonal theme adds an extra layer of interest for students. Click here on the image below to download your free language task cards. 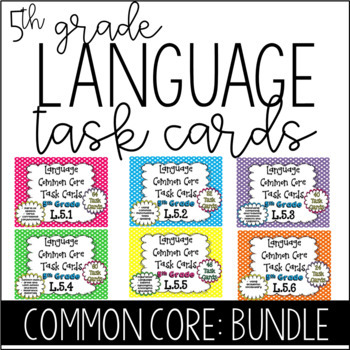 —> Want More 5th Grade Language Task Cards? This post was originally part of a blog collaboration. 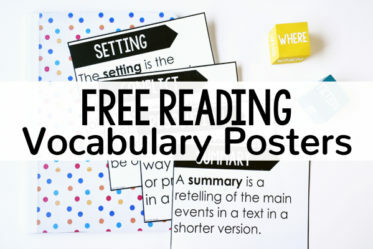 Head over to Ideas by Jivey to check out a free language resource from her! Do you have mentor sentences for sixth grade? Hi, Shannon. 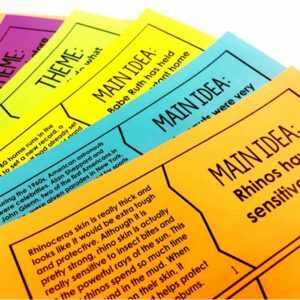 Ideas by Jivey has the mentor sentences. 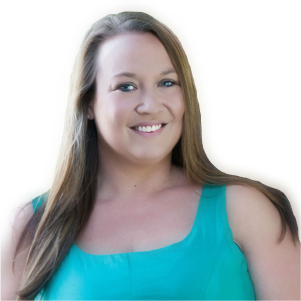 Her website is ideasbyjivey.com and her direct post is linked in my post. Let me know if you have questions! Yes, Jivey’s mentor sentences are game changers! The good thing is she has them for all elementary grades now. So if we can get all teachers on board, can you imagine the impact?! Thank you Jennifer for the great ideas. I’m an elementary Latin teacher and like to use games in teaching.